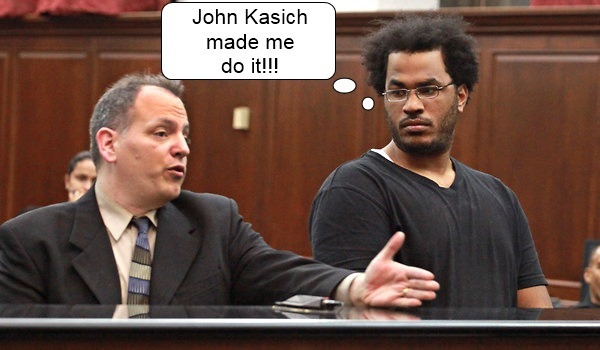 Ohio liberals blame would-be NYC bomber on…SB5? Yep, the loonies over at Plunderbund have gone and jumped the shark again. How does anyone take these guys seriously? They falsely quote the governor with no evidence to back up their slander. They claim that advocating for a right-to-work amendment is racist. And now they have found another new reason to oppose government union reform: it turns people into terrorists! Yesterday, a man was arrested in New York City for planning to bomb various targets around the city. A Manhattan man who became fascinated by the American-born Muslim militant Anwar al-Awlaki was arrested on charges of plotting to build and detonate bombs in New York, city officials announced on Sunday night. Holes had been drilled into pipes, sulfur had been scraped off matches, nails were ready to be used as shrapnel, and wires were used to fashion an ignition device, according to a law enforcement official. Mr. Pimentel planned to test his abilities by detonating mailboxes before embarking on a bombing campaign around New York City, Mr. Kelly said. “Pimentel talked about killing U.S. military personnel returning home from Iraq and Afghanistan, particularly Marines and Army personnel,” Mr. Kelly said. “He talked about bombing post offices in and around Washington Heights and police cars in New York City, as well as a police station in Bayonne, N.J. The intellectual dishonesty coming out of that blog is staggering. Can someone please explain to me how this wannabe jihadi’s actions have anything to do with labor unions? We’ve commented before about how much these guys are filled with rabid hate for John Kasich. Well, that hate is blinding them to a point where, somehow, they made the connection. I sincerely look forward to the full post where they explain how the two issues are related.